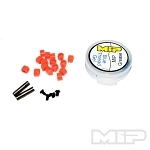 MIP Pucks™ ‘ARE’ the future of All TLR 22 4.0 Series Kit Vehicles! 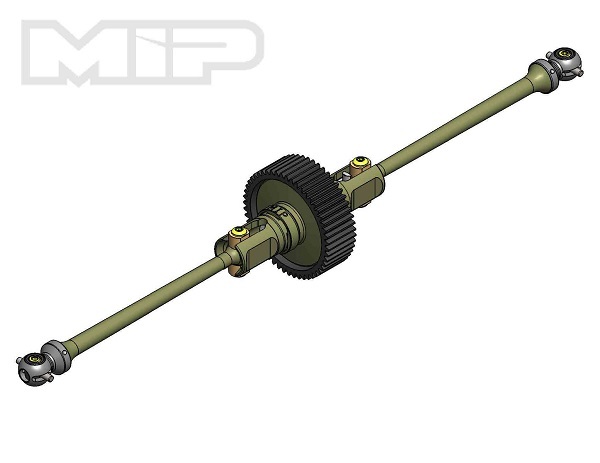 MIP’s all new Pucks™ Drive system is an aluminum based drivetrain system which includes a 2-piece Alum. Outdrive Cup & Alum. Outdrive Hub, 2 Bi-metal bones, and the replaceable plastic orange wear Pucks™ that take the place of the inferior steel pins. 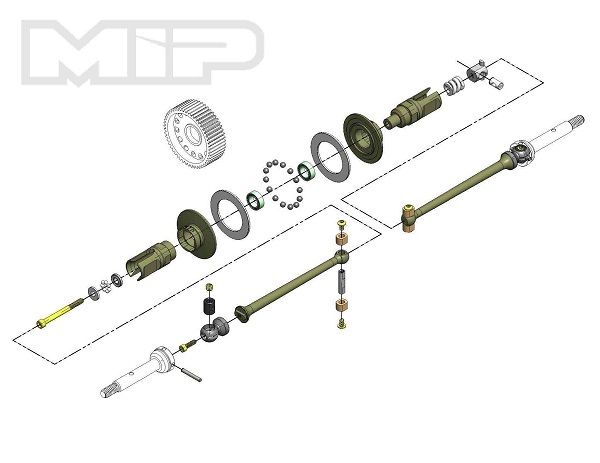 This combination greatly increases the longevity of the drivetrain and most importantly decreases the drivetrains overall rotating mass by a whopping 50%! The decrease in weight directly results in quicker acceleration, deceleration, and lower motor temps! Get the advantage that every stock racer craves! Very well built kit. Great directions. Good job MIP. 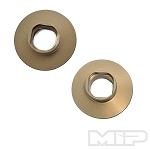 1- Diff Spring, 1/4 x 9/32"